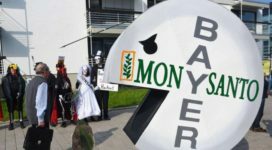 This week Monsanto/Bayer AG was ordered by a California federal court to pay $80 million to Edwin Hardeman after a jury found its weed killer, Roundup, caused his cancer. 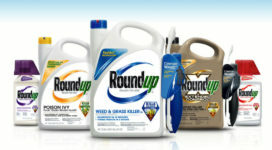 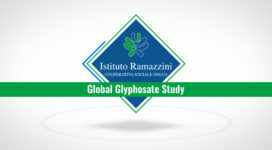 The case is just one of thousands of lawsuits filed against the company over plaintiffs’ use of the glyphosate-based herbicide. 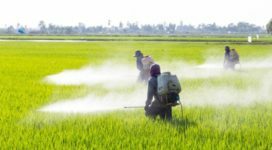 In 2015, the World Health Organization classified glyphosate as probably carcinogenic to humans. 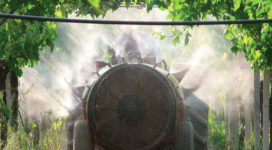 The Food and Drug Administration has concluded the herbicide is not likely carcinogenic to humans. 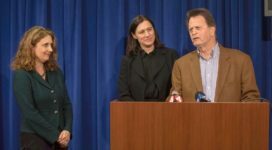 In August 2018, a jury in California state court awarded a school’s groundskeeper, Dewayne Johnson, nearly $289 million in damages. 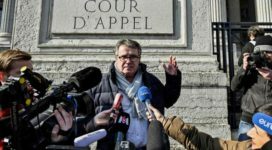 The verdict was later reduced to $78 million and is on appeal. 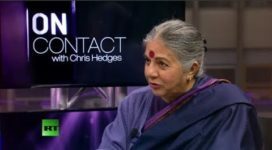 In this conversation with Chris Hedges, environmental activist and author, Vandana Shiva, talks about Monsanto/Bayer AG and other big AG players’ interests in India and her fight to protect life forms, seed varieties and farmers.